Welcome to my new room. I still live at my mothers home. I just finished college and looking for a good fulltime job (I do work at the airport fulltime, but I don’t have a good contract yet). Well, must say upfront that my room isn’t really ‘new’ at all. Most things are gifts or thrifted, but let me show you around. First of all I would like to show you my bed. I bought the bed secondhand for 100 euro and it’s an old, completely handmade bed. As you can see it has two little heart shapes in it. I decorated it with some christmas lights, which gives the bed a romantic look during the evening. My bedsidetable was a gift from the neighbour. It used to be old and brown, but I painted it white and it still has that old look. My desk and closet were also a gift, they used to be white but I painted them silver, which gives them a whole different look. It's such a beautiful room! I love the way that you've set all this up! So lovely! your room is absolutely awesome, like a wonderland! So, I am a super nosey person (heehee) and I LOVE these types of posts because they are just all levels of awesomeness. And the same applies to your room, love it! Thanks for sharing lady! Prachtige kamer meid! EN heel mooi dat alles in de zelfde stijl is! Heel vintage, And I love that! really cute and vintagey! love! I wish I had your room! wow, i wish i had your room too! =D it looks so dreamy! 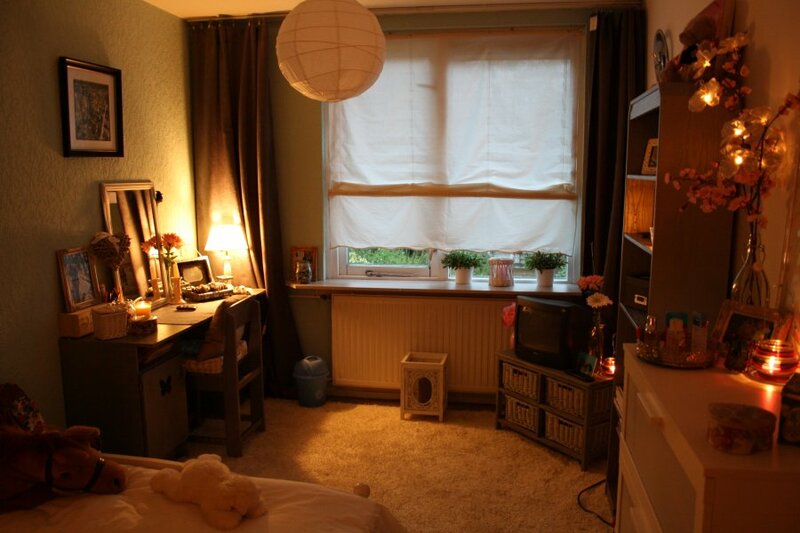 lovely room for a lovely girl! Whoo! I love your new room. And congrats on finishing college! I wish you the best! I'm glad to know you.. Anyway.. you have a really stunning room! I'm now building a new home and I think much how my bedroom will be look nice..
You've shared me how to do it! So pretty! I love the lights on the bed! 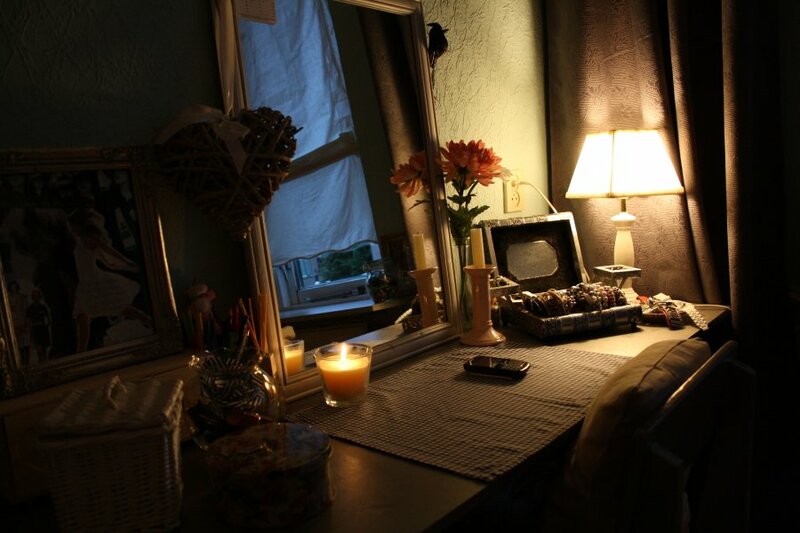 I love your room, I really want mine to look more like this. I really like your blog too so I'm officially your 100th follower!!!!! I love your room! It is so cute. I love all of the lights, especially the ones around the headboard, and all of the pillows on your bed. Another thing I love about your room are all of the flowers! So pretty. 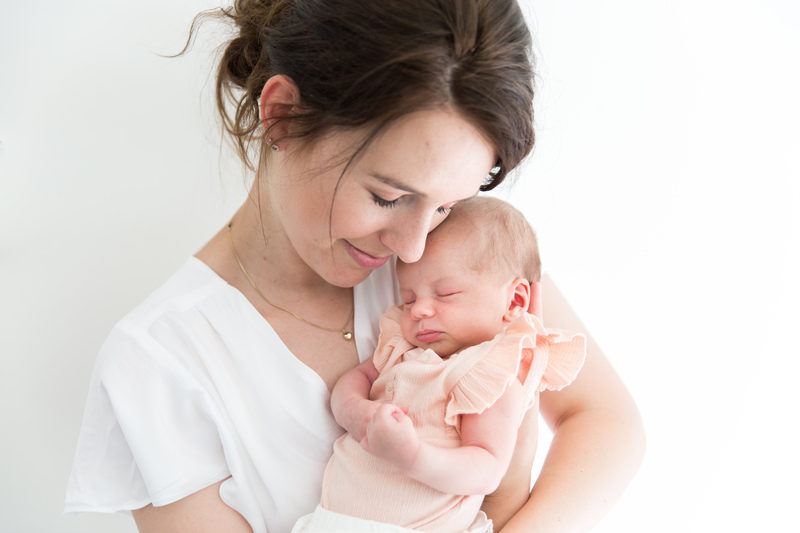 so cute.. and great post! 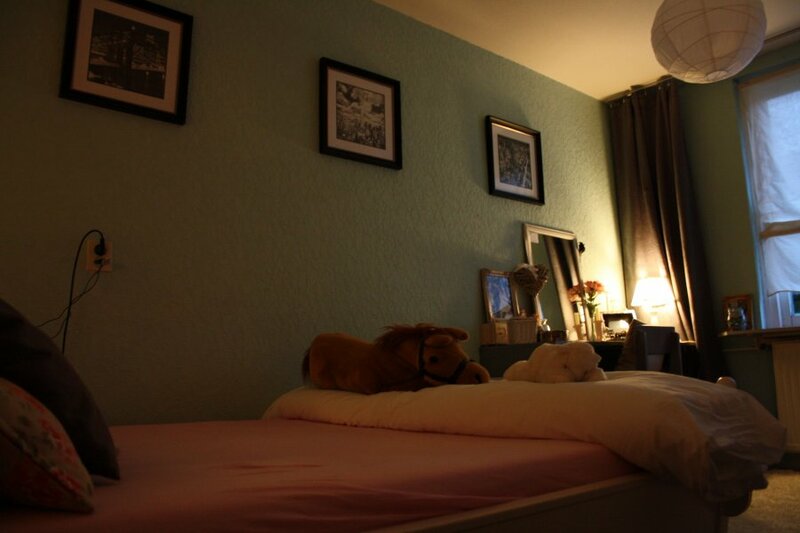 your bedroom is so sweet and girly! I just love your bed! Your room is so amazing. 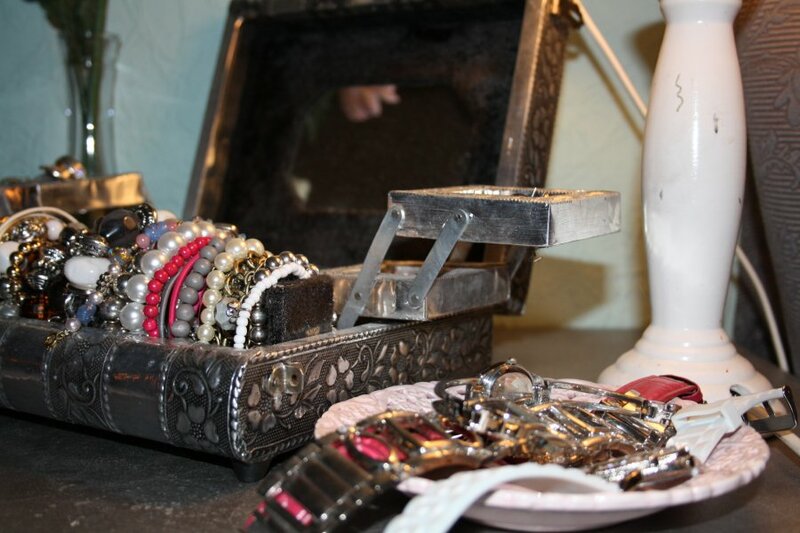 I love your whole jewelery setup. Everything is so gorgeous and so pretty. You seriously have me so hooked on the idea of thrifting everything that you find is so beautiful and pretty. Awwww I love your room. Those lights around the headboard are so awesome. Your room is beautiful. 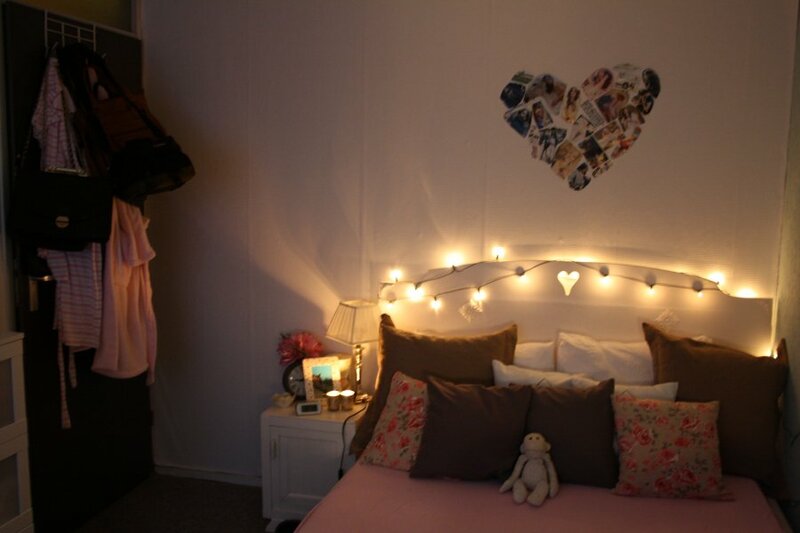 I especially adore the fairy lights above your bed. It's beautiful, really, love the lights and the colours ! Your room is super pretty! I love the light peeking from behind your bed! You just got yourself a new follower! Gorgeous post 🙂 Thanks for stopping by my blog!! 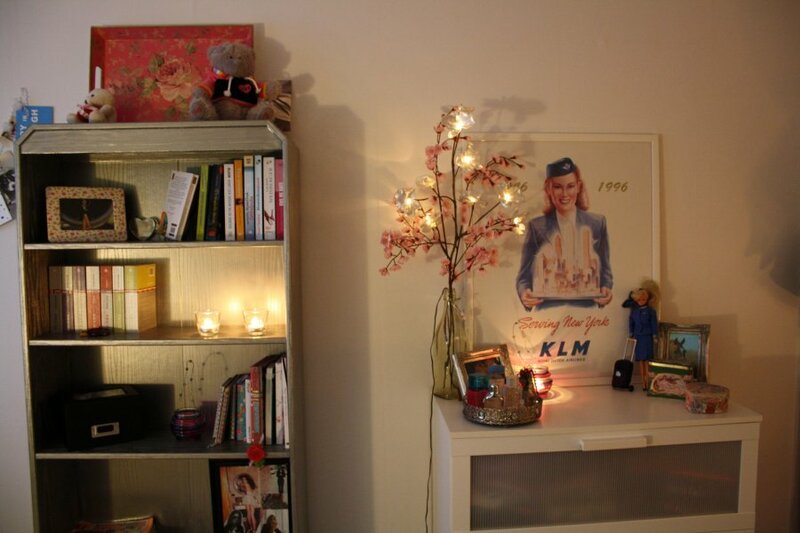 Fijne kamer met mooie spulletjes! In Utrecht heb ik de rommelmarkt bezocht. Morgen wil ik in Helmond rondsnuffelen maar moet ik werken. Leuk, echt heel erg sfeervol! je hebt echt een geweldige kamer! WAUW! echt super leuk ingericht! 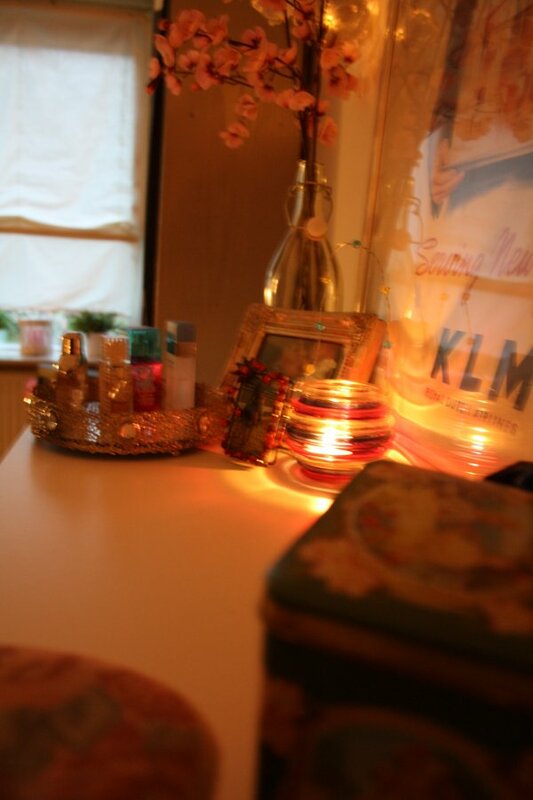 You've got a beautiful room ^^! Waauw dat ziet er knus en gezellig uit zeg!